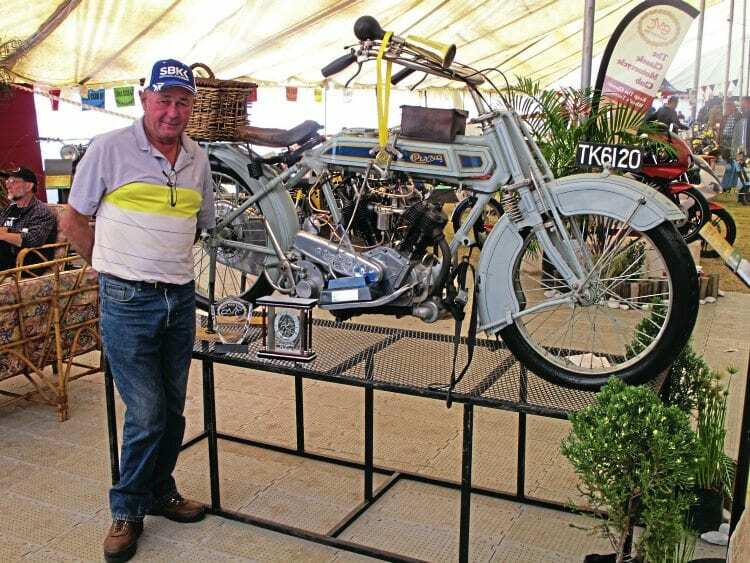 Russel Taschner’s magnificent 1913 Clyno motorcycle, which was billed as the main attraction at the recent 1000 Bikes Show at Germiston High School, took the top award at the South African event too. The Clyno was also the Best Veteran, Ladies’ Choice and the Best Bike inside the Marquee, with the latter two awards based on a public vote. Right: Russel Taschner stands proudly alongside his 1913 Clyno which collected a host of awards at the recent 1000 Bike Show in Germiston. Among the awards were Best Bike on Show, Best Veteran and Ladies’ Choice.